Singapore Garden Festival, the first garden show to showcase creations from the world's top award-winning garden and floral designs under one roof, is back in full bloom once again! The bi-annual event was last held at the Suntec Convention Centre exhibition halls. This year's edition though, will see it return to a place where everything is closer to nature - The Meadow at Gardens by the Bay. Just like previous editions, expect to be treated to a visual fiesta of exquisite garden and floral displays, created by more than 30 internationally acclaimed garden and floral designers. I brought the monkies down on opening day, and we were all taken in by the riot of colours that accompanied the horticulture displays. Ayd quipped that even some of the trees got 'rainbow-loomed'! Lol. Compared to previous editions, this year's Landscape Gardens category saw the competing gardens showcase their spectacular creations outdoors. And if you only have time to view one Landscape Garden, then Sacred Garden would be it. This Landscape Garden won the Gold and Best of Show awards this year! Making use of light, shadow and the basic elements of water and air to explore the relationship between the artificial and natural environment, the designers created a water-absorbent green roof where a grove of trees is planted. Steel poles support the planted canopy, allowing the space below the trees to be explored. Yes, gardens are always meant to be explored so the great thing about the Landscape Gardens is they allow visitors to enter for an immersive experience... something which delighted the monkies of course. If the heat gets too unbearable, then seek refuge in the air-conditioned tents where a different world of plant displays exist. Complete with the occasional mist ambush! If you are looking for something more intimate, head to the 14 Floral Windows to the World showcase in the neighbouring air-conditioned tent, where enchanting displays of beautiful flowers, creatively and delicately designed by celebrated local and international floral designers await. Oh, be sure not to miss the Miniature Garden Displays too, which is a NEW feature in this year's Garden Festival line-up. Everything in the displays is shrunk, but all of the plants used are definitely alive and real. 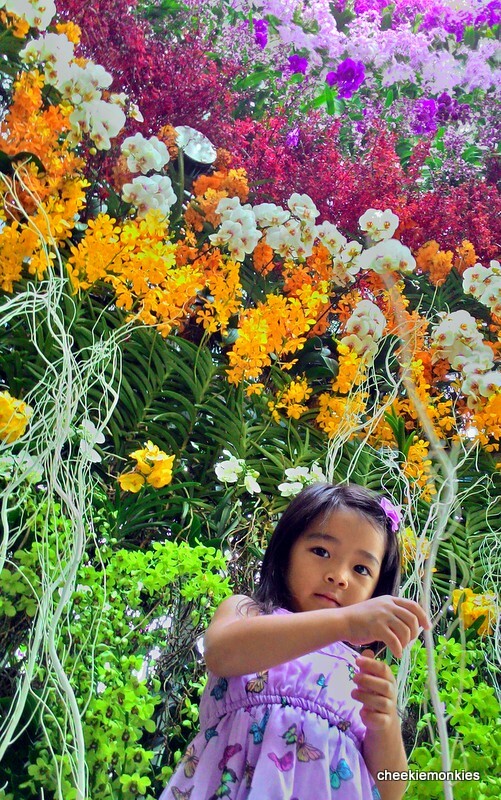 Nothing like the magical details of a miniature garden to bring out the child in all of us, no? 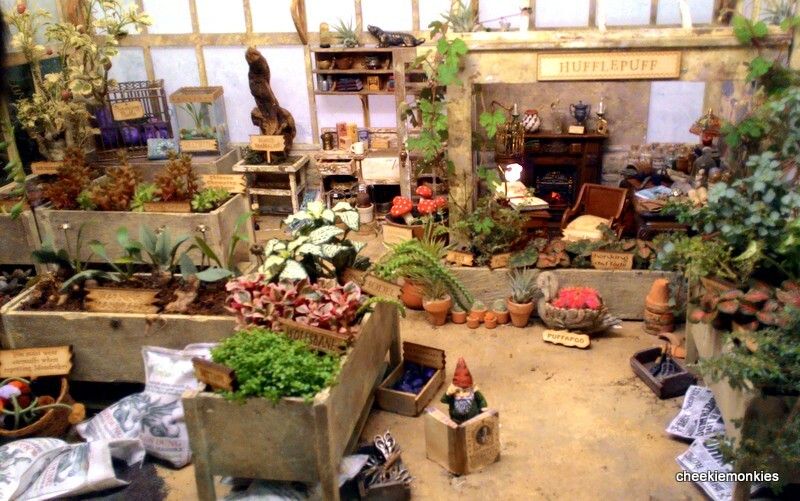 Especially if Greenhouse #3 as seen in Harry Potter is one of them! Admittedly in the eyes of children, all gardens look similar after a while. So head back outdoors to the big field (beside Ticketing Booth B), where loads of eye-catching and interactive garden-themed displays are on show! Always a hit with the wifey, the Balcony Gardens are also on display here which may just inspire visitors to transform their home balcony into a soothing retreat. And while the wifey was busy absorbing ideas from the Balcony Gardens, the monkies were having fun exploring the various Community in Bloom displays. I think this was their fave part of the Garden Festival, as the displays were not only colourful in appearance but also highly interactive as well. Much like this Sound of the Forest Garden Display. The monkies had a field day conjuring up noise, erm I mean music from the various instruments planted within the garden. In other gardens, the monkies got to learn more about various spices and herbs through free smells! But nothing, absolutely nothing could have ever prepared us for what turned out to be the biggest hit with the Diva. A Frozen-themed Garden Display! How to beat that? Personally though, there was one area that stood out and I strongly recommend all parents to make this a compulsory stop if you are heading down to the Garden Festival with your kids. The Learning Garden showcases plants that Mankind has been using them for various purposes - for food, medicine, building materials and much more. So everyday food like pineapple, guava, sweet potato, ginger and even leaves that we use to wrap rice dumplings from the Tiger Plant are in the Learning Garden. I loved the nice touch of placing the end products next to the actual plants, which allowed the monkies to make the connection. The end products, like a packet of passionfruit juice or sack of rice, are what kids of today are used to seeing in the supermarkets. So I felt that it was highly educational that they got the opportunity to see the exact plants that those products were derived from. 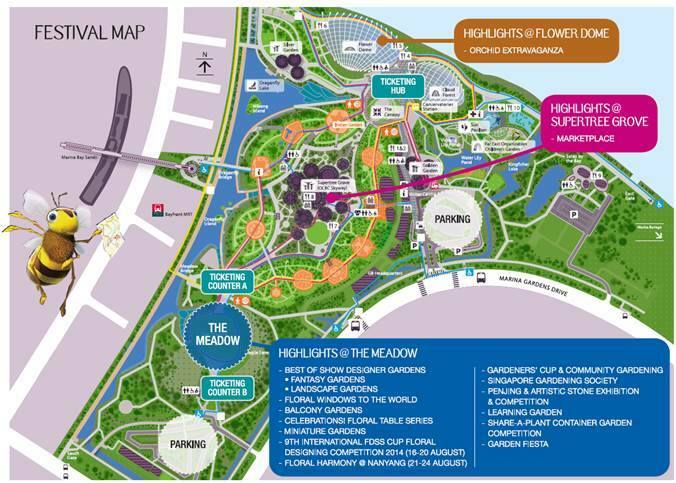 That pretty much sums up the area at The Meadow at Gardens by the Bay has to offer. But wait, there is more! 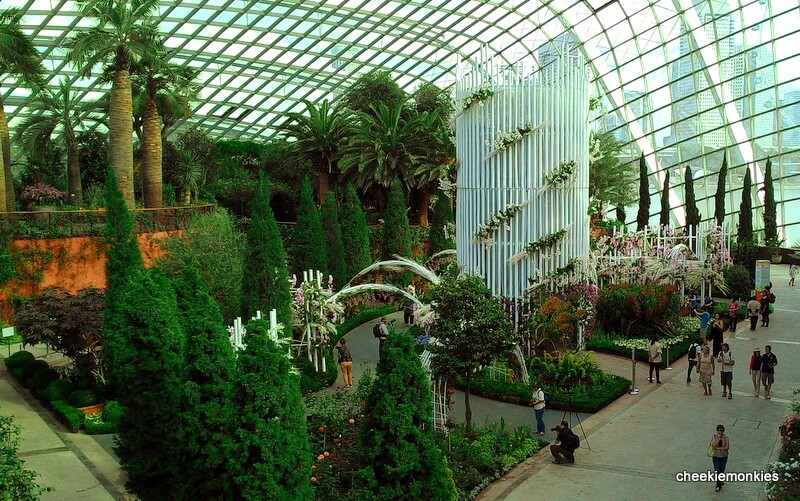 The Singapore Garden Festival ticket also allows complimentary entry to the Flower Dome! And it is one visit you should not pass up on, thanks to this 10-metre column in the middle of the Flower Field. 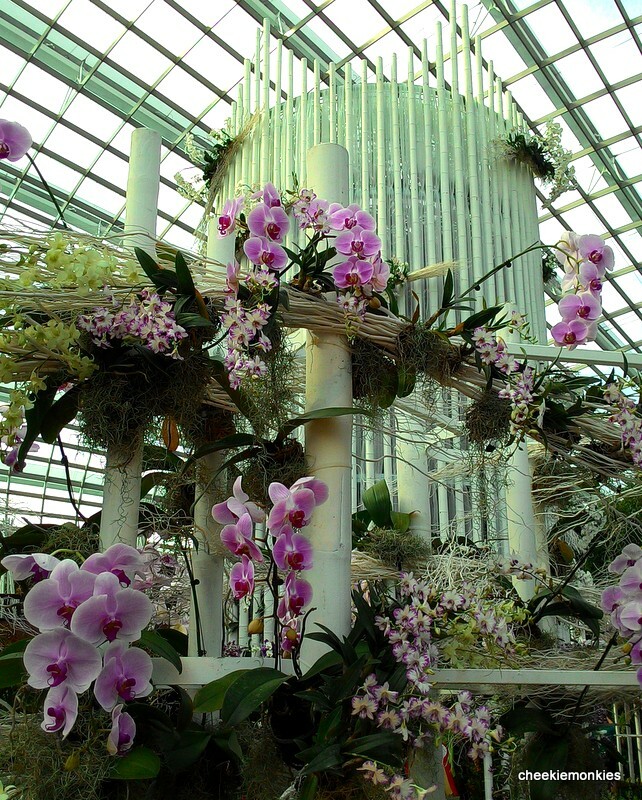 Designed by award-winning landscape architect Jun-ichi Inada, Orchid Extravaganza at Gardens by the Bay presents the rich and diverse heritage of the world’s most diverse botanical family - Orchids. In terms of an Orchid showcase, Orchid Extravaganza is one mind-blowing journey as it features some 18,000 orchid plants! But the real highlight has got to be the 10-metre column, where visitors can actually wander inside and be rewarded with a spectrum of colours. 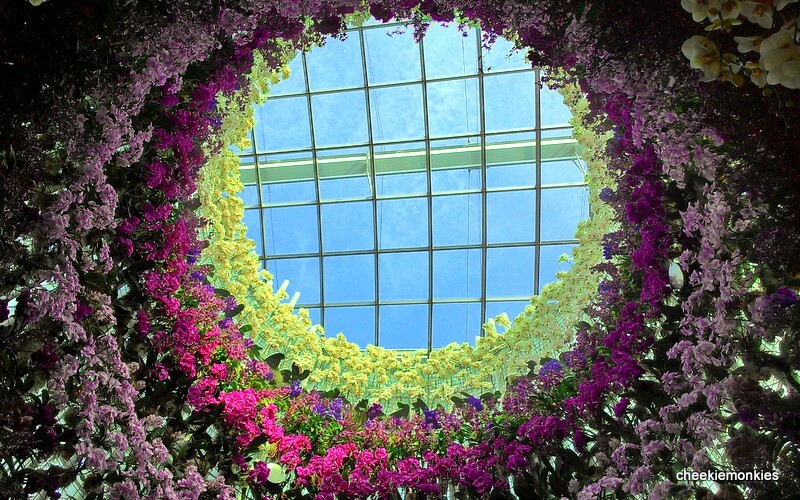 Do not forget to look up too, and immerse in the feeling of being in a huge kaleidoscope of orchids. The monkies absolutely loved it inside... make that everyone in the family actually. 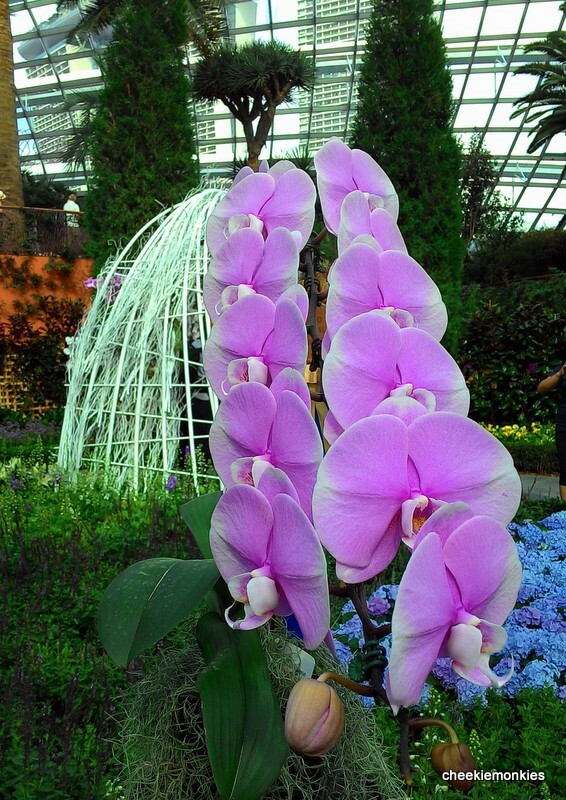 Whether you are a serious gardener, hobbyist or just looking for a fun day out with the family, there is something for everyone at the Singapore Garden Festival 2014. But hurry, the festival draws to a close this weekend on 24 August 2014. And since you will definitely be bringing your camera to the Festival, why not join in the COLOURS Photography Contest too? Submit your photos taken with the theme “Colours” by 7 September and you could win Canon cameras! For more details and to submit, visit HERE.